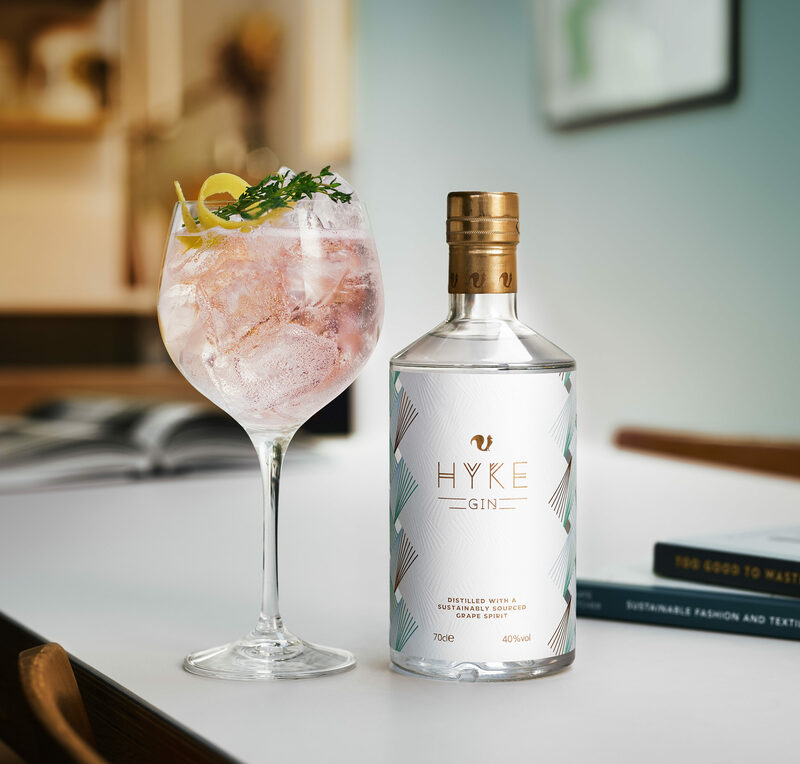 Later this month (March 2019), the new HYKE Gin from our longstanding client Foxhole Spirits will hit the shelves of Britain’s biggest supermarket, bringing with it a unique brand story entirely in tune with the times. Back in 2016, we worked with Sussex-based start-up Foxhole Spirits to launch its eponymous new gin brand. Its USP was that this would be the first English gin made using grape spirit derived from the (usually discarded) waste grapes left behind by the wine-making process. The gin itself proved an enormous commercial and critical success, and our brand scooped a Silver IWSC award. The only remaining question was: how do we follow that? The answer comes this month when, after months of behind-the-scenes work in absolute secrecy, Foxhole Spirits’ new HYKE Gin makes its triumphant debut. From its inception, the HYKE brand set out to continue, and explicitly build upon, the sustainability message of its predecessor. 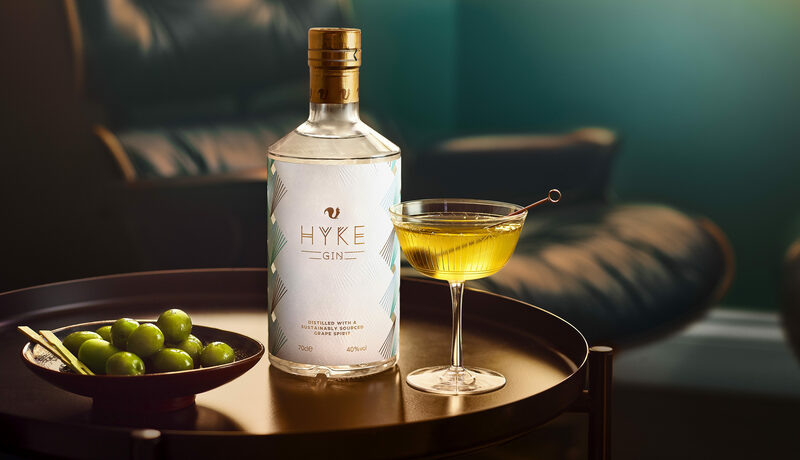 Like Foxhole Gin, HYKE is made using grapes that would otherwise be discarded: the difference is these are table grapes (the ones you eat) rather than wine grapes. Every year, Britain’s supermarkets import boatloads of them from as far as afield as Egypt, South Africa and Chile. Inevitably, by the time it reaches the UK, some of the fruit doesn’t meet the exacting visual standards expected by consumers; so every year, hundreds of tonnes end up being composted or anaerobically digested. By putting these grapes to productive use, HYKE is making a small but important contribution to tackling an industrial-scale waste problem few consumers are even aware of. That unique backstory reached the receptive ears of buyers at Tesco, which has led the way in publicising and addressing the issue of food waste. In fact, the brand resonated so powerfully with Britain’s biggest supermarket that it agreed to list HYKE even before it had tasted it. And to reinforce the sustainability message, HYKE will appear on Tesco’s shelves later this month following its official launch on 18th March 2019 – the second annual Global Recycling Day. Ahead of the launch, we worked with Foxhole Spirits’ Head of Marketing & Communications, Donna Amato, to create a range of PR assets, generating significant coverage across the trade and national mainstream media. Photography is a major element of the HYKE brand story. Although it’s a sustainable product, it’s not an overtly ‘green’ one – and we certainly wanted to avoid coming across as ‘worthy’. At the same time, we needed to differentiate HYKE from the plethora of small-batch, on-trend gins in what’s already a pretty crowded market. We therefore opted for bespoke lifestyle images, shot within a residential property in East London that combined our ground-breaking label design with an authentic family-home feel. 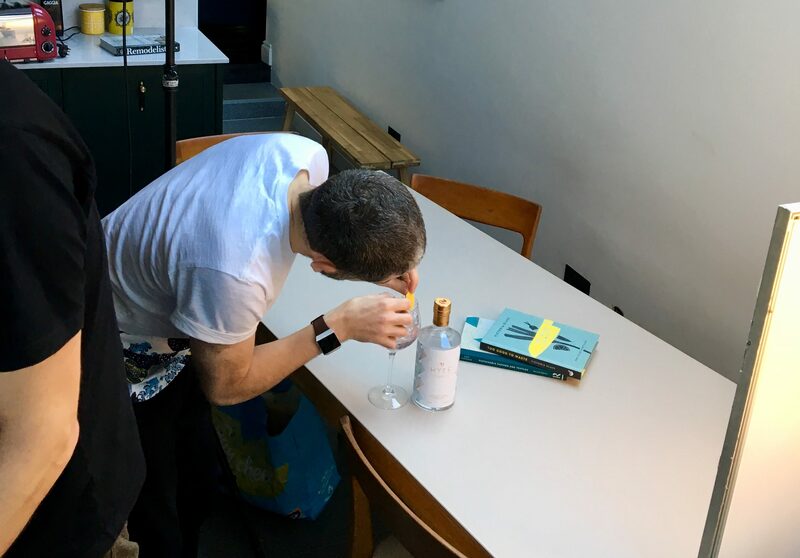 Working with renowned specialist drinks photographer Rob Lawson, we first created composition mood boards and then art-directed the entire shoot ensuring the images captured the brand essence, as well as being technically perfect. Following the shoot, a bespoke colour filter was applied to all images which captures the brand colour palette. 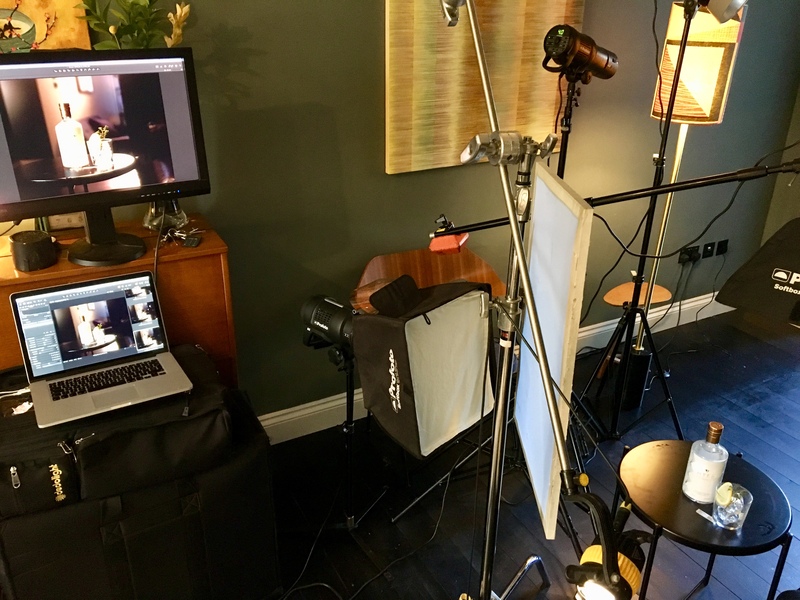 This attention to detail helped ensure all photography is ‘owned by the brand’ and provides distinctive imagery for the marketing / advertising collateral. The brand story was featured on BBC South East news on 13th March 2019. 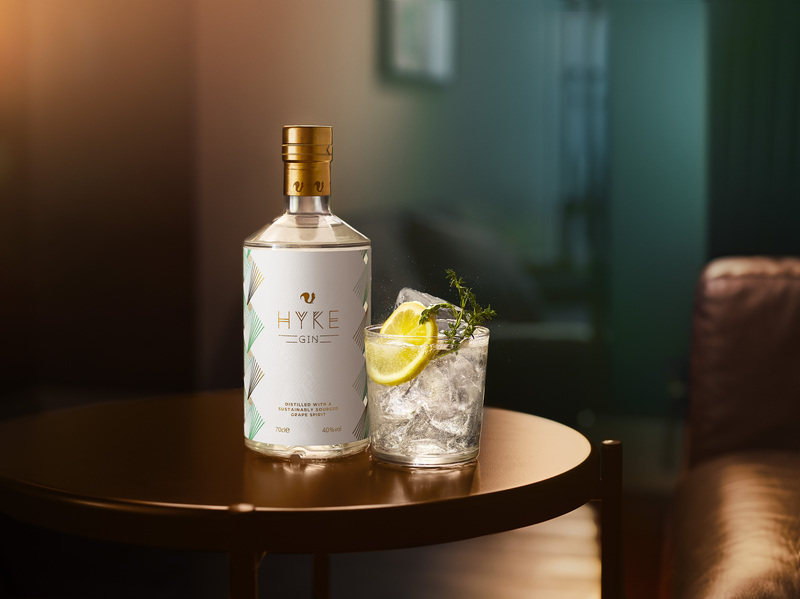 To read more about our work for HYKE Gin, please click here to read our Work page. The London Classic Car Show brings together some of the UK’s rarest, most valuable and most desirable motors. We used this opportunity to spotlight the Paul Stephens Autoart and Works models – creating a buzz, stir and excitement for these exceptional cars. Paul Stephens has been a Porsche aficionado all his life: he clocked his first 100mph run, in a 911, when he was just 10 years old. His passion has brought him success on the track at Le Mans, and made him one of Britain’s leading specialists in air-cooled Porsche models built between 1965 and 1997. His eponymous company, based in Essex, engineers and builds exquisite bespoke creations under its Autoart sub-brand, and offers a range of more accessible Works cars inspired by 1970s motorsport, hot-rods and the ‘outlaw’ scene. And if you want your classic 911 restored to factory-fresh, down-to-the-last-nut-and-bolt perfection, Paul and his equally Porsche-obsessed team are the people to talk to. For 2017 the company secured a prime stand position in the centre of the exhibition hall, where it displayed the Autoart Classic Touring Series 2 and Works Clubsport models – alongside several beautiful 911s for sale. We’d been working with the company on brand strategy for several months, and the Show provided the first real opportunity to apply our thinking on a grand scale. Our brief was fairly simple: we were given the stand’s area and position within the event space, what cars and areas of the business the company wanted to promote – and that was about it. The rest was down to us. Our stand design incorporated graphics that promoted the new brand correctly and, crucially, caught the eye from a distance. However, one of the key features Paul Stephens brand values is obsessive attention to detail. So, our design also included elements that encouraged visitors to walk around the stand, look more closely and engage with the brand on a more intimate level, such as mini brochures and data capture screens. Everything Paul Stephens does is bespoke, and in that spirit, we created a one-off coffee-table book, displayed on the stand, capturing the essence of the brand and its associated lifestyle. The response was fabulous, with the company reporting enormous interest in its new models. The Works Clubsport car was sold during the event, and also helped to secure a major new business opportunity. The show car was equipped with wheels made by LA-based manufacturer Fifteen52 and designed by British-born maverick Magnus Walker. Following the Show, Paul Stephens was appointed as the sole UK distributor for the Magnus Walker ‘outlaw’ wheel range, one of the most recognisable and desirable aftermarket parts for classic Porsches. The stand also won acclaim as ‘Best in Show’.